Our journey began when the sun—the cold, dark wet sun—went into the underworld and encountered the evening star, the payaya, the deer. And the sun rode the deer through the underworld, through somi...and at that time we were born from these springs, from the San Marcos Springs. On a Saturday morning, Gary Perez stood at the edge of what in more recent years has come to be called Aquarena Springs. There was a sense that time had been suspended, or that somehow, all times were happening at once. ﻿Preparations were being made for a 4,000 year old ceremony﻿—Gary supervised his son, Camaran, as he bound the deer hide to form the drum. A glass-bottomed tour boat passed by, and the breeze carried the sound of respirators as a scuba instructor coached his class on breathing techniques. The Perez family are descendants of the Coahuiltecans, so named by the Spanish for the Coahuila region spanning modern-day Mexico and Texas. They are South Texas Indians, a tribe not recognized by the federal government and sometimes not even by other Indian tribes, a matter Perez made a point of explaining when we first met at a Mexican restaurant in San Marcos the year before. They are the great-great-great grandchildren of the Indian slave laborers who built the Spanish missions across the Rio Grande Valley and northward to San Antonio. Like many people in the old Spanish colonies, they are mestizo. “We function—if you get my drift—under the color of the law,” said Perez. 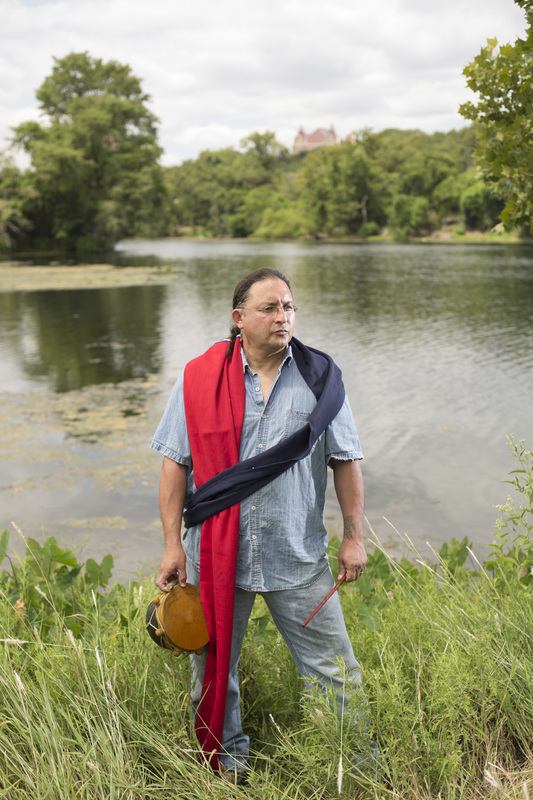 “I’m kind of grateful for the color of the law because we don’t live like some other federally recognized tribes, where they live by the letter of the law.” (The Miakan-Garza Band of South Texas Indians, to which Perez belongs, was recognized by the State of Texas in 2013.) Despite its uneven recognition in the eyes of governments and fellow natives, the tribe claims a space at the epicenter of contemporary American Indian culture. The Coahuiltecans believed that they traveled the underworld as spirits, pursuing the deer through the limestone caves of Central Texas from the hills of San Angelo, emerging as “The People” from the sacred springs of modern-day San Marcos. Contemporary South Texas Indians, like their forefathers, celebrate this creation story through the peyote ceremony. Even today, the Miakan-Garza Band practices the pilgrimage that originated thousands of years ago from the Birth Springs of Central Texas to the peyote gardens of the Rio Grande Valley. Like many holy traditions, the pilgrimage requires absolution before the participant can partake in the ceremony. Men of the tribe stop at each of the birth springs to absolve themselves before traveling to the peyote gardens. 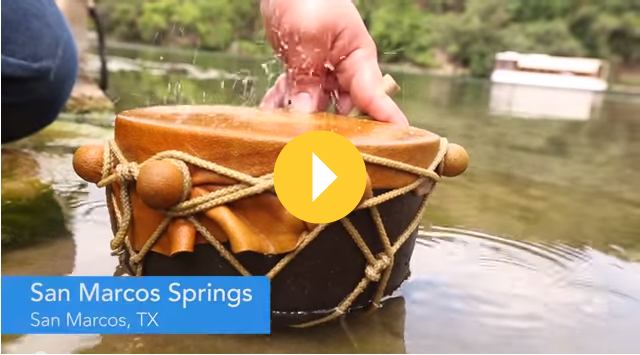 The people of the Edwards Aquifer now come from many tribes. They are the descendants of the Spanish, Anglo and German settlers, and the millions more riding the tide of the Great Texas Migration. Since the American Indian Religious Freedom Act of 1978 authorized the use of peyote under the auspices of the Native American Church, the practice has become a nearly universal ritual among North American tribes. Peyote, a flowering cactus found along limestone formations in South Texas and northern Mexico, induces a transcendental state upon ingestion, making it popular with lots of people of non-Native origin as well. In the sunset-to-sunrise peyote ceremony still practiced by South Texas Indians, the Native American Church and cultural tourists, the story of the tribe emerging from the birth springs of San Marcos is recounted in Yanaguana, also known as the canto al agua: the singing water. Comanche, Sioux, Navajo, Cherokee, white hippies tripping in peyote ceremonies in upstate New York—all sing of the birth springs of Central Texas. 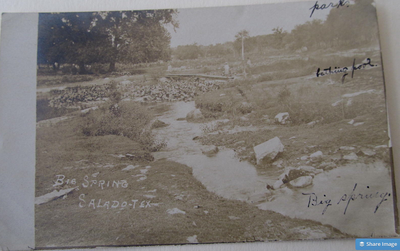 Today, those springs are called Barton Springs, Comal Springs, San Marcos Springs and San Antonio Springs. The Texans of the Edwards are not so different from the Texans of the Trinity, the Carrizo, the Edwards-Trinity, the Hueco Bolson, the Gulf Coast, or that great mother-lode aquifer, the Ogallala. If there is one thing that unites us, it is a common belief that all resources exist for one reason: to grow. But in one regard, the Texans of the Edwards Aquifer stand alone--only they have found a way to grow without pumping themselves dry. The reason why has less to do with the people of the Edwards Aquifer than with the people of the Gulf Coast, whose economic destiny depended on a resource beyond their control, and who stumbled upon the one tool that would bring pumping in the Edwards in line with its natural limits. In October 2014 I traveled to San Pedro Springs Park, near the confluence of I-10 and I-35 in downtown San Antonio. The park is surrounded by turn-of-the century mansions whose better days were left behind in the city’s restless expansion. Rainbow streamers flapped above a yellow chalk road advertising a community theatre production of The Wizard of Oz, and clusters of homeless people congregated around the park’s edges. I sat with Weir Labatt at a pavilion where a man slept on a bench. Labatt comes from an old San Antonio family. After serving the city as a council member during the administration of Mayor Henry Cisneros, he was appointed by Governor Rick Perry to two terms on the Texas Water Development Board, and chaired the Western States Water Council, created by western governors to ensure ample water supplies for a rapidly growing West. 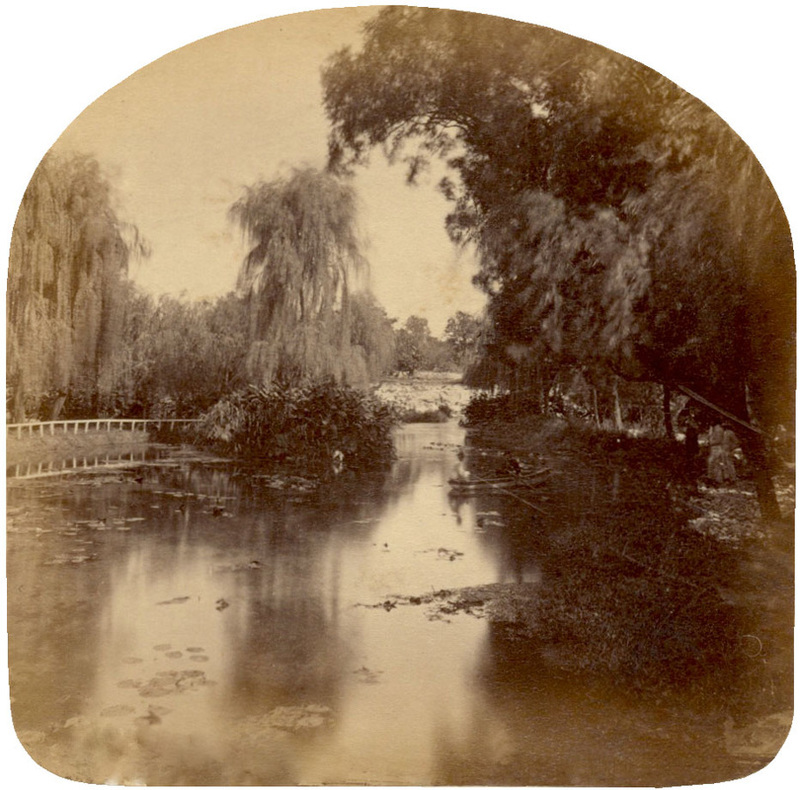 San Pedro Springs in 1877. The springs now flow only sporadically, when the Edwards Aquifer is high. 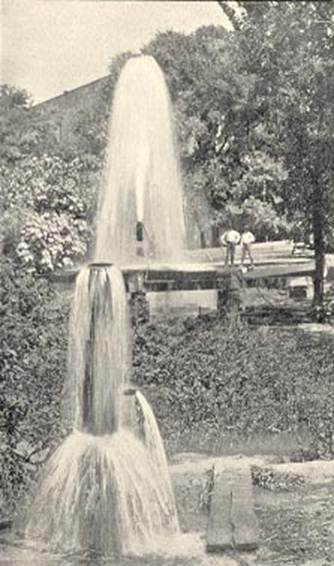 Newly drilled wells in the Edwards Aquifer at the turn of the 20th Century. 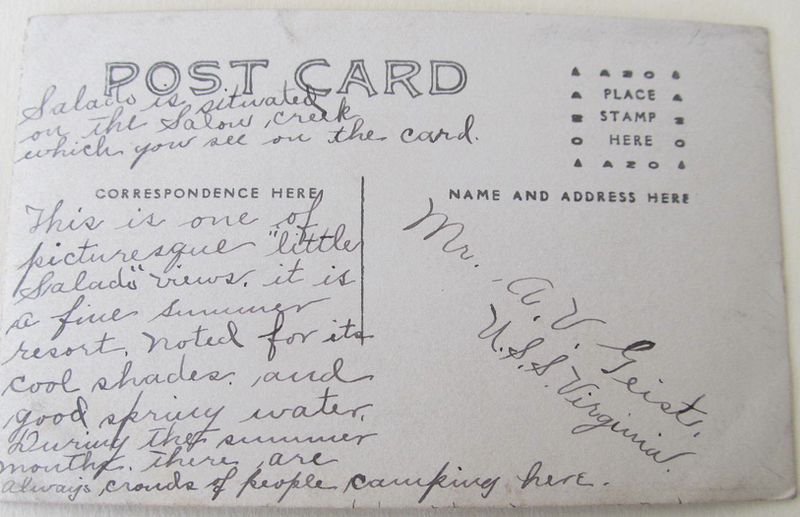 Before industrialization, the high water table in the Edwards produced fountains at wells and natural springs. The springs in San Antonio have been dry for much of the past decade. Nowadays, the San Antonio River—known as the Riverwalk to tourists—is watered reliably only by recycled sewage. 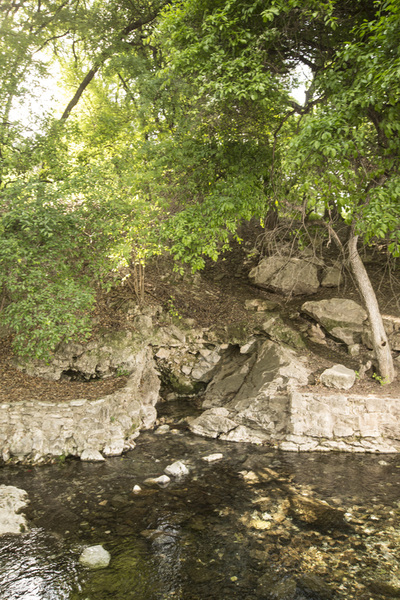 San Pedro Springs, like the nearby San Antonio Springs, are at the highest elevation of the Edwards Aquifer’s major springs. They are the first to dry during times of drought and the slowest to recover. They were the first to sputter as the city grew, and as the farms west of town scaled up production following the Second World War. 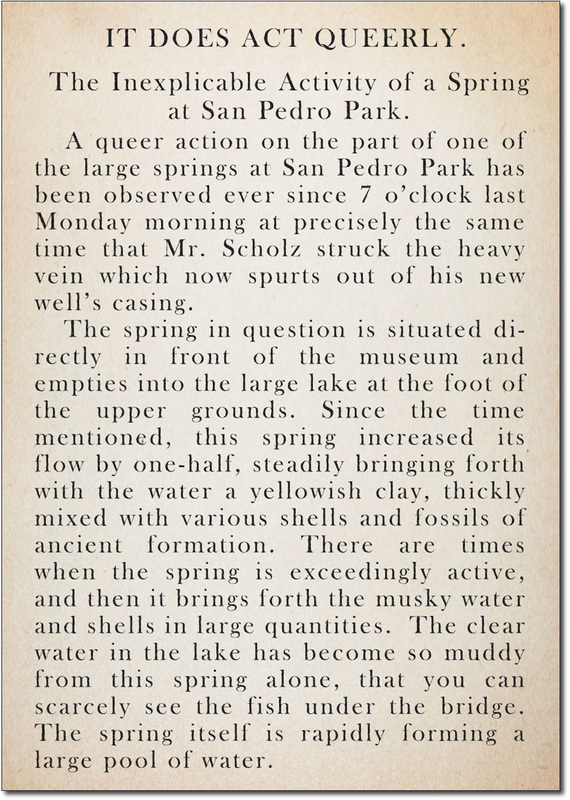 Even as San Pedro and San Antonio Springs slowed and dried, the other major springs of the southern Edwards Aquifer continued to flow. Then came the drought of the 1950s. The farms and the cities continued to pump, and Comal Springs in New Braunfels ran dry. Like most of Texas’ major aquifers, the Edwards is the origin of several rivers: the San Antonio River and, farther northeast, the San Marcos and Comal Rivers, which flow only a short way before merging with the Guadalupe-Blanco River: taken together, the Coahuiltecan Yanaguana. All of this water flows into San Antonio Bay, home to some of Texas’ largest chemical refineries, all of which demand tremendous amounts of freshwater. These refineries are highly dependent on flows from the springs at Comal and San Marcos, especially during dry periods, when nearly 80% of the water that flows past Dow Chemical’s major facility in Victoria originates at the springs in Central Texas. If the drought of the 1950s returned, these refineries realized, their water rights would do little to protect their water. For years, the Guadalupe-Blanco River Authority (GBRA), made attempts through the courts to limit pumping over the Edwards, to no avail. Pumping in the Edwards Aquifer near San Antonio was regulated by the Edwards Underground Water District. Their rules were set by people elected by the cities and farms they were regulating, who had no intention of limiting their own water use for the benefit of anyone in San Antonio Bay. “I think the issue boils down to people had a property right,” said Labatt, “and everybody got used to pumping probably more than we should have. It meant that we didn’t go out and get alternate sources, non-Edwards sources of water; we had this huge pool of water here. The aquifer goes down almost to sea level—there’s a huge amount of water below us. And the argument would be, we’ve got plenty of water here, we’ll just pump it. But the result is: you dry up the two springs at Comal and San Marcos, and all the flow that goes downstream, all the way to the coast. So you lose the water that would be for in-stream flow on the Guadalupe River, and the San Antonio River.” Despite all of the people and industries dependent on the waters originating in the Edwards Aquifer, the operating premise was that the Rule of Capture prevailed. The GBRA and its chemical customers realized that the endangered species may be their last hope in keeping their river from being pumped dry. It was a lawsuit filed by the Sierra Club in 1991 that changed everything in the Edwards Aquifer. 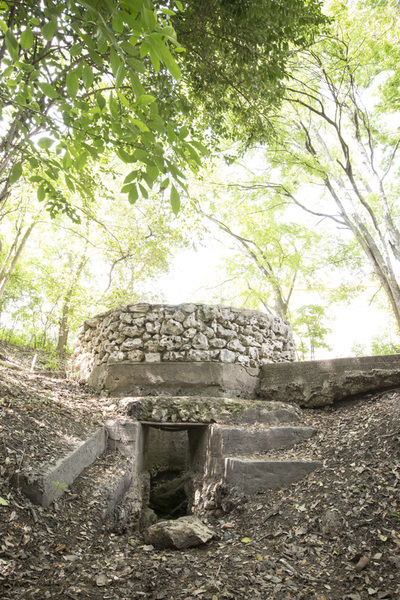 The fifties drought had wiped out the Comal Springs population of Fountain Darters, a small, glassy fish that was one of eight endangered species known to live in the Edwards Aquifer springs. 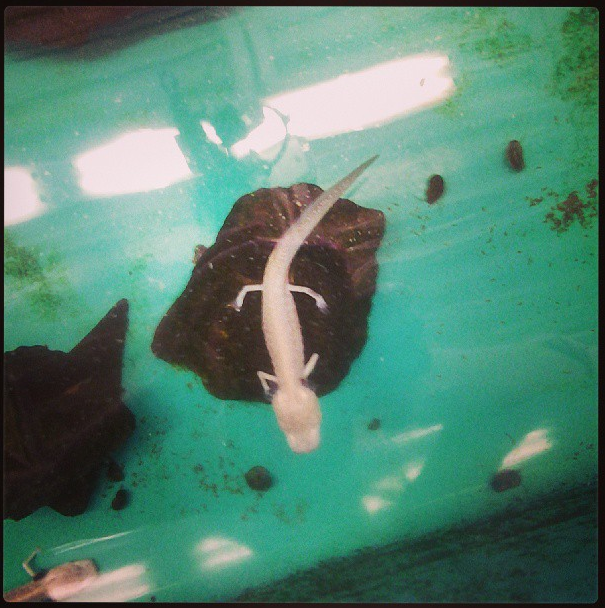 Drought in 1989 and 1990 had killed off Fountain Darters in the San Marcos Springs. 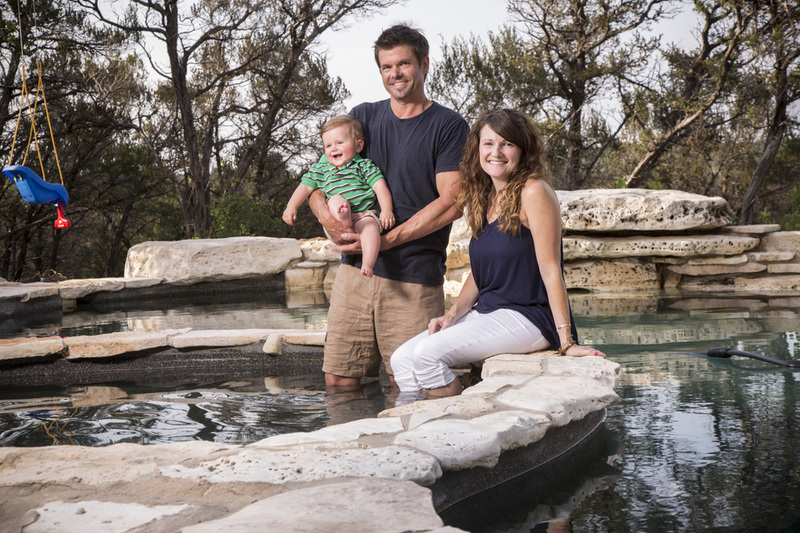 By failing to constrain pumping in the Edwards Aquifer, the lawsuit contended, the U.S. Fish and Wildlife Service was failing to protect federally listed species. At the time, Labatt was a council member for the City of San Antonio. “That lawsuit in 1991 fronted by the Sierra Club,” Labatt explained, “was also to a large degree fronted by the GBRA, which protects interests downstream of the two springs, and they didn't think that we were serious—we were negotiating, but we weren’t serious about doing anything.” The GBRA and its chemical customers realized that the endangered species may be their last hope in keeping their river from being pumped dry. That plan would have to be approved by the U.S. Fish and Wildlife Service, or the blunt axe would fall. Technically, from start to finish the case took a little less than 4 days—something more like three and a half. This may have been motivated by the threat of Judge Bunton’s squirt gun, which he was known for using to remind lawyers of the need for concision. In delivering his decision, Judge Bunton told the Texas State Legislature that either they would find a means of limiting pumping on the Edwards to protect endangered species, or he would wield “the blunt axe of federal power” and find a means of limiting pumping himself. 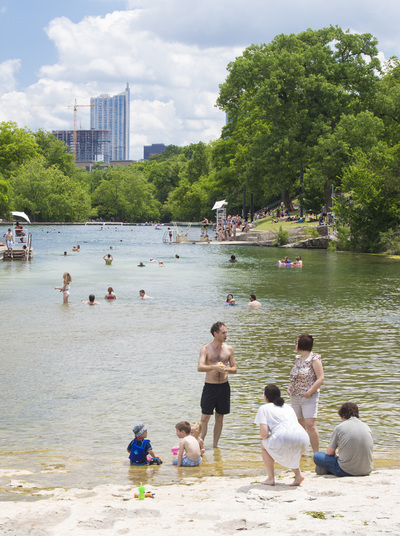 As Labatt explained, “Nobody in the State of Texas wanted that to happen.” The Legislature acted, creating the Edwards Aquifer Authority (EAA), which would be responsible for allocating groundwater to keep the springs at San Marcos and Comal Springs flowing, even if the drought of the 1950s recurred. The Legislature gave the EAA 20 years to create a framework for managing groundwater. That plan would have to be approved by the U.S. Fish and Wildlife Service, or the blunt axe would fall. Agricultural interests from the corn, cotton and milo growers between Hondo and Uvalde, who use more than 4 times the water of the city of San Antonio, fiercely resisted paying for groundwater, or ceding rights to cities or fish. If the farmers and the cities could come to agreement on how water would be split, it was almost sure to be rejected by environmental interests, who were focused on springflows in San Marcos and Comal. 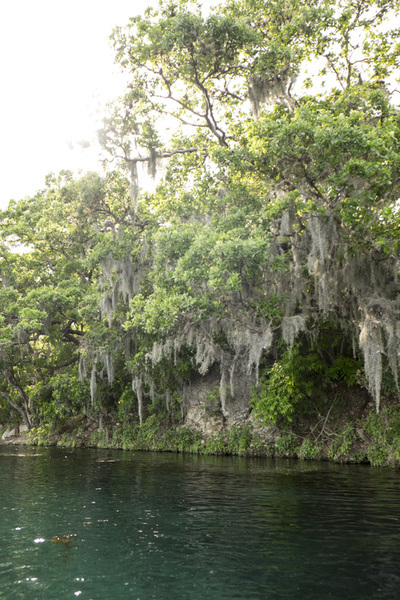 In 2014, after 20 years of negotiations, legislative maneuvering and court cases, the Edwards Aquifer Recovery Implementation Program (EARIP) was approved by the U.S. Fish and Wildlife Service. The EARIP, which was developed by the cities and farmers whose use it will limit, spells out exactly how much water will be available for them in wet and dry years to sustain springflow at Comal and San Marcos Springs. The impending curtailment of Edwards water is what moved Labatt’s city of San Antonio to lead most of the state in water conservation, and to diversify its water resources beyond the aquifer. Mike Montagne of the U.S. Fish and Wildlife Service in San Marcos. 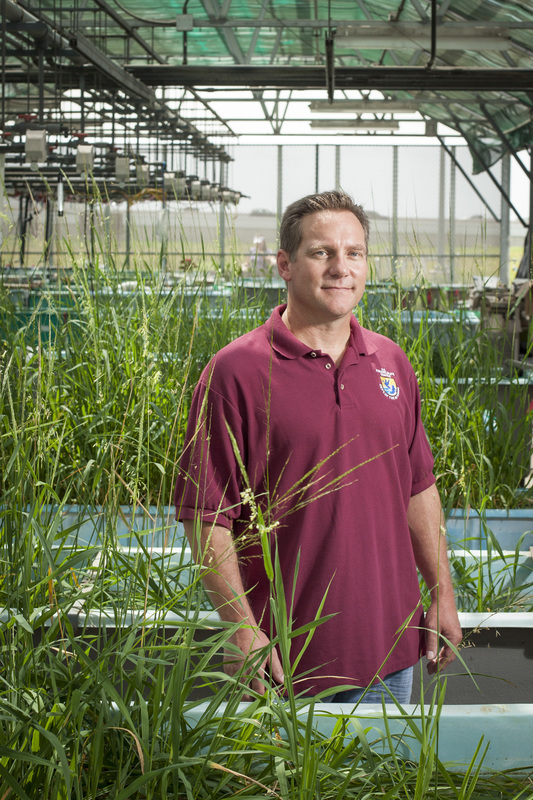 Montagne stands in a greenhouse of Texas wild rice at a refugia funded by municipal water users in the Edwards Aquifer built to sustain populations of the endangered species whose protection spurred groundwater pumping limits to maintain flow in the major springs of the Edwards Aquifer. With the EARIP as a model, will more Texans seek a balance between the common good and private property rights? 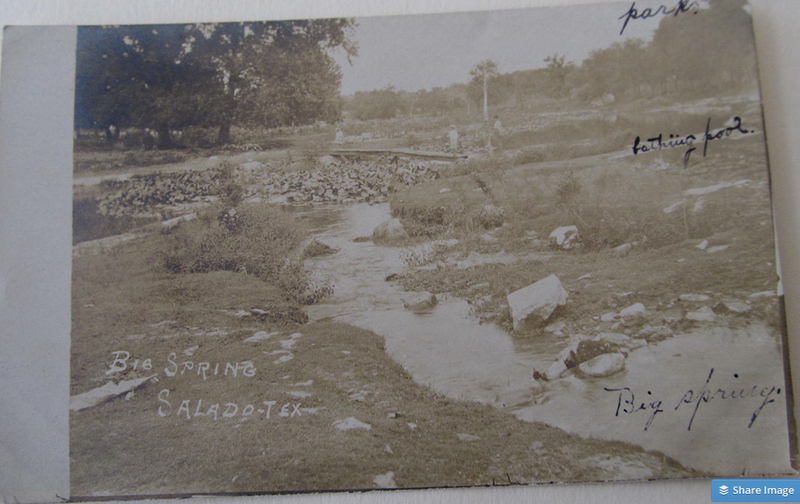 Other counties have followed suit, among them Bell County, whose Salado Creek is home to its own endangered salamander species. 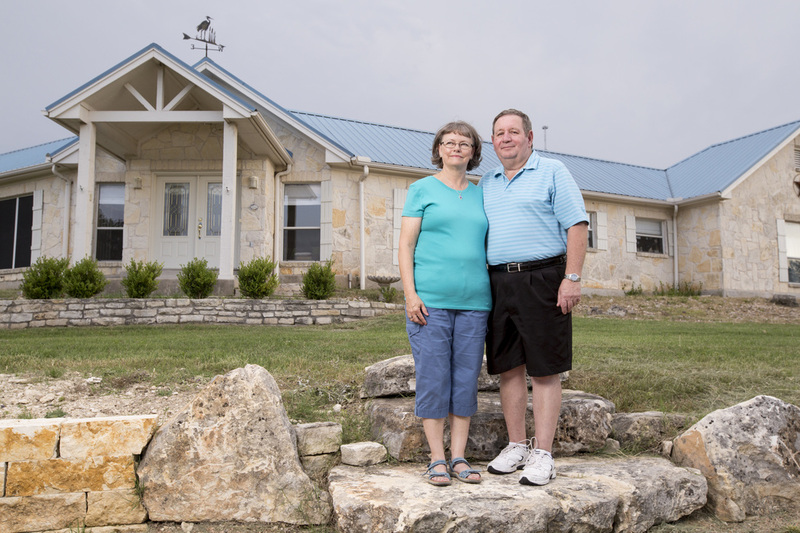 There in the northern Edwards, municipal, farming and environmental interests are defining groundwater pumping limits to keep springs flowing in a process similar to what took 20 years to perfect in San Antonio. The Endangered Species Act (ESA) has forced cooperation between the sparring interests who control the Edwards Aquifer and the regions that receive its water. In a way, the ESA has given people who would otherwise have no legal right to intervene in groundwater pumping a tool to have their interests represented. It continues to be the only legal mechanism available to Texans who are affected by upstream groundwater pumping, when they do not live directly above the aquifer itself. “If you dry up the groundwater through pumpage for whatever reason,” Labatt asked, “then the springs go dry and the people downstream who depend on it, do they have any—should they be part of the balance and the decision-making? You’re going to have serious problems, and without the ability to manage that water in some kind of reasonable basis, both groundwater and surface water combined, then you’re really not going to be able to manage water in the State of Texas.” Yet so far nowhere else in the state have river authorities who receive their water from regions experiencing groundwater depletion stepped in an attempt to scale back pumping. In the regions where no endangered species exist, what can compel people to work collectively to limit their pressure on groundwater resources? Any number of tools may be effective. The state could require groundwater management plans to be approved by river authorities, many of which manage water rights that are meaningless if groundwater levels continue to fall, drying up the springs that create surface water baseflow. Aquifers are the origin of all rivers in the state (except for the Rio Grande, which still gets at least 1/3 of its flow from Texas groundwater). 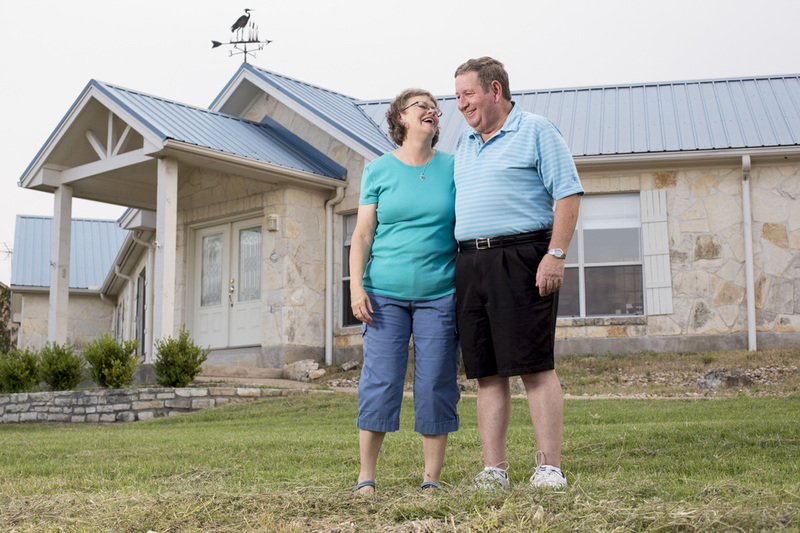 Another tool might be to pay groundwater owners for the value they provide, if they will limit their pumping, one which was used to implement the Edwards Aquifer Recovery Implementation Program. Keeping water in place on the land sustains the long-term value for groundwater owners, and also for the water users whose water rights and real estate receive their value from baseflows created by groundwater. ﻿(source)﻿ Either mechanism—requiring groundwater targets to be approved by river authorities in receiving river basins, or compensating groundwater owners for the water they provide through fees recovered by river authorities who sell water to farmers, refineries and cities—is a fair way of treating the water above and below ground as a shared resource. Our groundwater aquifers are assets. Maybe if we treat them as such, Texans will have a reason to cooperate. The wind energy revolution in Texas that catapulted us to become the largest producer in the country was spurred by the realization of large landowners that there was money to be made in the production of this new form of energy. The same dynamic may be the key to unlocking our state’s potential to manage its groundwater resources for long-term sustainability. Groundwater owners don’t have to pump and pipe their water to produce it—in many regions, they are doing this already without lifting a finger, as water moves through the land, creating economic opportunity across regions far from where rainfall first landed on private property. Even in places where groundwater is not strongly tied to surface water flows, groundwater owners can create economic value by storing others’ water for later use. After decades of groundwater depletion, Tucscon, Arizona has amassed enough groundwater to be self-sustaining for 40 years. The water within their basin began as water in the western Colorado River, which Tucson purchased, piped and pumped into the ground. Now, the city is in such a competitive position compared to its neighbors, it is considering renting out its groundwater aquifer for storage by other entities. Our groundwater aquifers are assets. Maybe if we treat them as such, more Texans will have a reason to cooperate. In the late 19th Century, thousands of new farmers arrived in the High Plains, lured west by government pamphlets and land speculators trumpeting the amazing fertility of the land from North Dakota to the Texas Panhandle. The decades that brought the first homesteaders west of the Missouri River had brought with them abundant rains, and it was the conclusion of government agrarian scientists that the plows turning up the millions of acres of buffalo grass were themselves creating a new climate. Rain follows the plow, everyone agreed, and for at least a time it appeared to be true. When the rains failed, it was concluded, the solution was to turn over more acres for even greater yields of wheat. And so it went, until the wheat crops failed, and the land turned on the children of the farmers who first plowed the land for rain. In the years of the Dust Bowl, the sky rained mud. 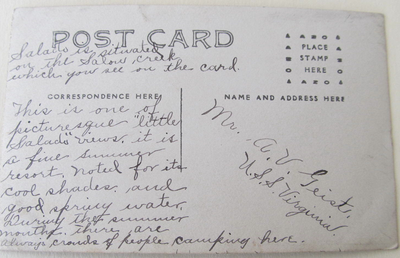 Thousands were driven from the High Plains, fleeing west to California. What finally subdued the Dust Bowl was not rain but the discovery of water beneath the land, and the pumps to lift it. Today our quickening demand for groundwater threatens to make this underground rain as unreliable as rain on the High Plains. Even during extended droughts, rooftop rainwater harvesting systems can capture enormous volumes of water from the periodic rains that do pass through the state. For a house with 2,000 square-feet of roof, every inch of rain can produce 1,000 gallons of water. In an average year of rain in San Antonio, that’s more than 30,000 gallons of water a year, which is about what the average house uses. Swofford took me on a tour of his rainwater system. There actually wasn’t much to see—his storage tanks are buried in the backyard. 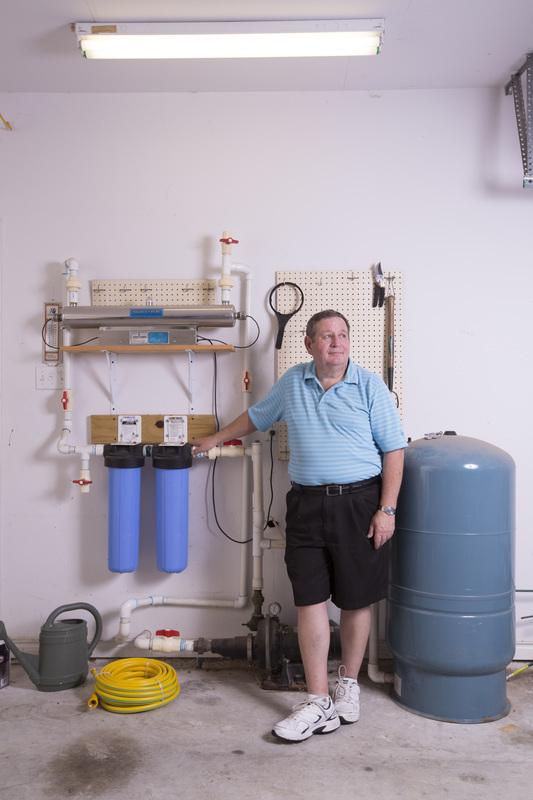 In the Swofford’s two-car garage is where the magic happens, where the water stored for months after it’s captured is turned into clean drinking water. Mounted on the wall next to a peg board hung with gardening tools was the Swoffords’ water purification system, two filters and a UV light, all about the size of a weedeater and a couple of cans of paint. “So all the particulate matter is taken out down here and if there’s any germs it’s taken out by this ultraviolet light and then it comes out and into the house and it’s just like a regular plumbing system.” Maintenance is simple: Larry replaces the bulb and the filters once a year. What’s striking about the Swoffords is that they are pretty much as far from the stereotype of rainwater harvesters as you could imagine. For them, this isn’t about environmentalism—it’s just about the most cost-effective way to get reliable water of the best quality in a place where it’s in short supply. The Swoffords and the Morellis are both conservative with their water use, probably using less than 1,500 gallons of water a month. Most of the time, they don’t have to think about conserving; their homes were built with high-efficiency appliances, and they don’t have any of the built-in irrigation systems that drive water use for most of their suburban neighbors. Long-haul pipelines and groundwater wells give the illusion of infinite supply, allowing us to water as much as it takes to keep our St. Augustine lawns green or to fill our vanity ponds. Rainwater, on the other hand, forces us to contend with the limits of our water supply. While the Swoffords and the Morellis see a surprising number of people in their fast-growing community harvesting rainwater, they wish more people would realize the economic benefit of tapping the sky. Should Texans who are dependent on diminishing groundwater resources declare water independence? "If you’re in an aquifer and you have people using water in the same manner, then it will work until your population exceeds the capacity that you have. For our house we think of it in different terms," says Larry. From an economic standpoint, it makes sense. The cost of lowering a groundwater well rivals the cost of a rainwater capture system—some $15,000-20,000. That is on par with the true household cost of adding virtually any new source of water, including the pipelines that have been built or proposed to meet growth by drawing on the Highland Lakes or far-flung aquifers. How we pay for these types of water projects is part of what keeps our statewide use of rainwater harvesting marginal. While the costs of rainwater capture systems like the Morellis’ and Swoffords’ fall to the homeowner to finance, the costs of long-haul water pipelines is muted by low impact fees and long bond repayments, so that Texans don’t realize how much they are truly paying to pretend that water is limitless. And while mortgage lenders are more than happy to ignore dropping well levels that indicate long-term water supply risks, most respond to newly built rainwater-fed homes by throwing up their hands in consternation, unsure of how to underwrite the risk of a water shortfall. A million Morellis and Swoffords could really take a bite out of demands for groundwater mining. But if we view rainwater harvesting as a technology that can only be implemented on a small-scale basis, we miss its potential to radically disrupt the water supply systems that have set our state on a collision course with resource depletion. Getting rainwater harvesting right means looking beyond the household level to what we can do to make entire developments water-independent. Such “net zero” developments that produce their own water can leapfrog the infrastructure gap that plagues so many fast-growing communities. So far, rainwater continues to be viewed as a marginal practice by the state’s water planners, infrastructure firms and economic boosters. 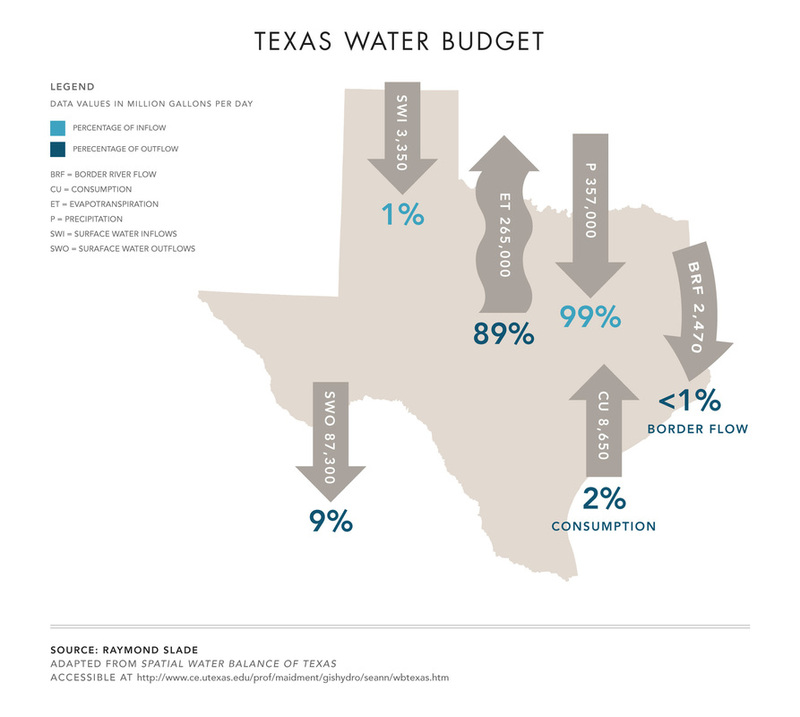 Getting it to scale will mean adapting public policy and private enterprise practices so that the households and developers working to expand Texas’ water supply have the same tools available to them as anyone who would be building a water-depleting supply. 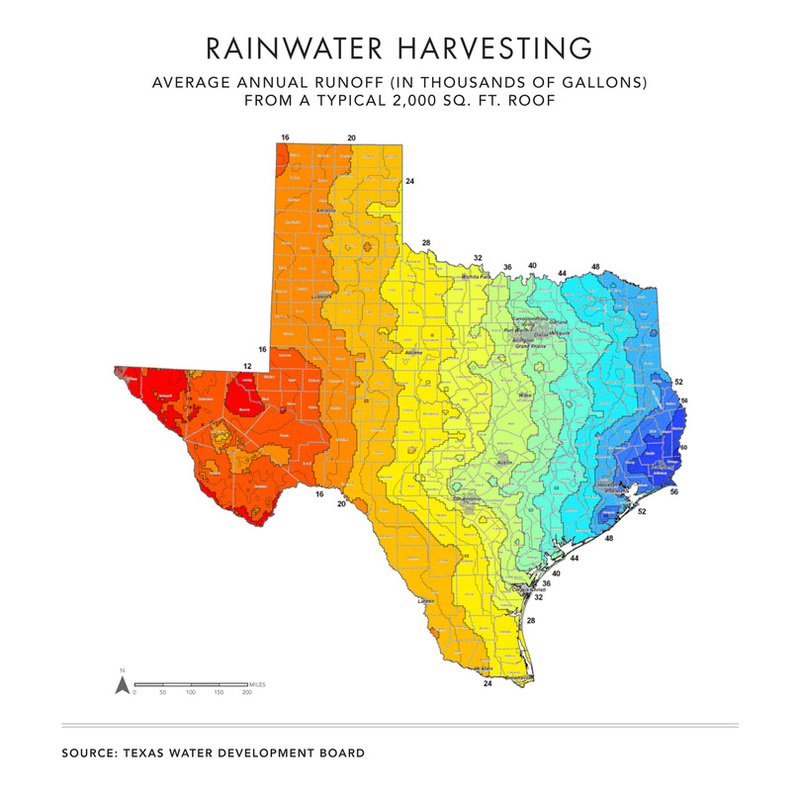 There are no official estimates of how much water rainwater harvesting could add to Texas’ supply portfolio. But if the estimates for the city of Los Angeles—a place that gets about the same rainfall each year as West Texas—is any guide, the combined potential is enormous. Los Angeles, which uses more water each year than San Antonio, Victoria, San Marcos, Austin and New Braunfels combined, plans to replace somewhere between a quarter and a half of the water it uses with locally captured rainwater by the end of the century. Whether for sustainable groundwater management or development of disruptive water supplies like rainwater capture, collaboration is the key to Texans ensuring water for our sustained economic growth. The question that falls to each of us is what is our goal? If it is to deplete our groundwater, we’re well on our way, and there is nothing that we need to do differently. But if our goal is to sustain our water, it will take investment: investment in infrastructure, but also investment in institutions to govern our shared resources. Investment in watershed-scale transactions to recognize the value that groundwater owners provide neighboring regions. Investment in financial innovation and water planning to scale up the share of water resources created by our new growth. If we can commit to those investments, as voters, households, communities and regions, we can build the future we actually desire.